Welcome to the fantastic book circus that is the YA Scavenger Hunt! 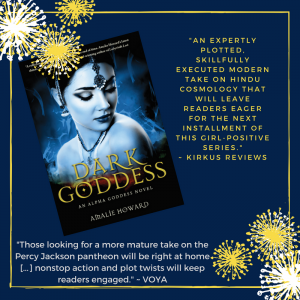 For those new to the fun-fest that is YASH, this bi-annual event was first organized by the fabulous Colleen Houck as a way to give readers a chance to gain access to bonus material from their favorite authors … and a chance to win some awesome prizes! So for those of you who don’t know me, I’m the author of several books, including the #1 gothic bestseller BLOODSPELL and the IPPY award winning BLOODCRAFT in my witch/vampire series; WATERFELL, OCEANBORN, and SEAMONSTER in my twist on mermaids series; THE ALMOST GIRL and THE FALLEN PRINCE in my parallel universe science fiction series; and the Spring 2014 Kids’ Indie Next Pick ALPHA GODDESS and DARK GODDESS in my hindu mythology series. 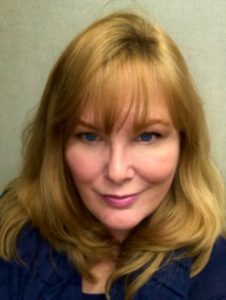 I am also the co-author of the steamy historical romance series: the LORDS OF ESSEX and the TARTANS & TITANS series. If you came here looking for my bonus material, the playlist for ALPHA GODDESS and DARK GODDESS, you’ll have to keep hunting! 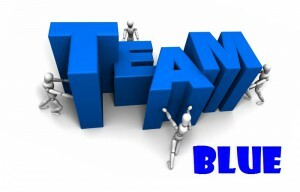 This hunt, I am a member of the BLUE team! At this hunt, you not only get access to exclusive content from each author, you also get a clue for the hunt. Add up the clues, and you can enter for our prize–one lucky winner will receive one signed book from each author on the hunt in my team! But play fast: this contest (and all the bonus material) will only be online until noon PST on Sunday October 7th! 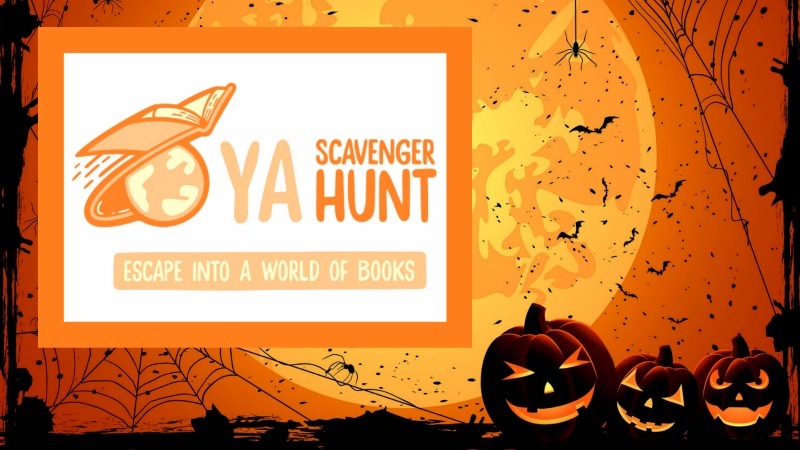 Check out the YA Scavenger Hunt page to find out all about the hunt. There are SIX contests going on simultaneously, and you can enter one or all! 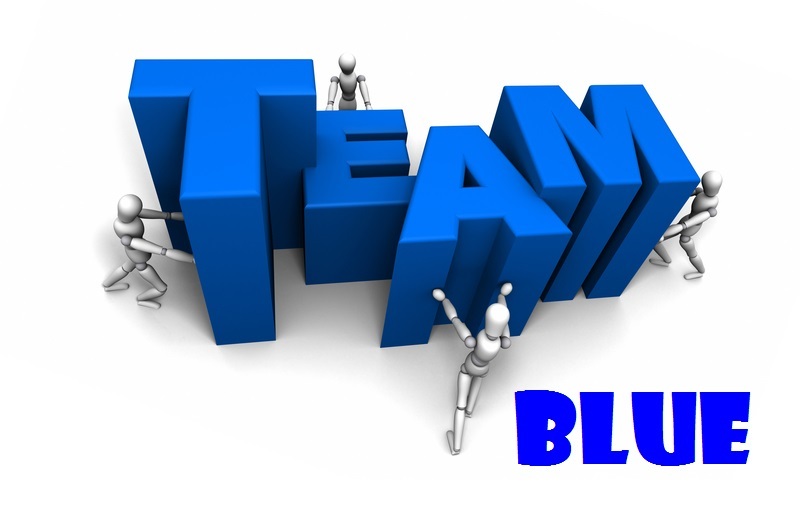 I am a part of the BLUE TEAM–but there are also six other fabulous teams for a chance to win a whole different set of signed books! Directions: In my post, you’ll notice that I’ve hidden my favorite number in BLUE somewhere. Collect the favorite numbers of all the authors on each team, and then add them up. I am so happy to be hosting L.E. DELANO, author of TRAVELER for this leg of the YA Scavenger Hunt! L.E. DeLano is well known as a blogger and autism advocate under her alternate moniker, Ellie DeLano. She comes equipped with a “useless” Theatre degree that has opened doors for her in numerous ways. Though mostly raised in New Mexico, she now lives in Pennsylvania with two adventurous kids and two ridiculous cats. When she’s not writing (which is almost never), she’s binge-watching Netflix and planning road trips. Jessa has spent her life dreaming of other worlds and writing down stories more interesting than her own, until the guy she’s been dreaming about – literally – suddenly shows up and invites her out for coffee. After the requisite nervous breakdown, Jessa learns that she and Finn are Travelers, born with the ability to slide through reflections and dreams into alternate realities. But it’s not all cupcakes, pirates, and fantasy lifestyles – Jessa is dying over and over again in every reality, and Finn is determined that this time, he’s going to stop it… This Jessa is going to live. Find out more information about this exciting book by checking out L.E. DELANO‘s website! And DRUMROLL please … now for L.E. DELANO‘s exclusive content! A deleted scene from TRAVELER!! Author’s note: Jessa is a Traveler, who has the ability to step through mirrors into alternate realities, and alternate versions of herself. Upon arrival, she can access her counterpart’s memories—sometimes with surprising results. 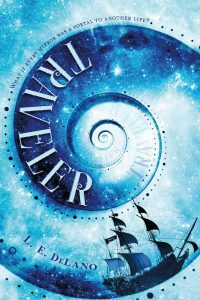 This scene—the first time Jessa encounters the pirate version of her fellow Traveler, Finn–was rewritten to remove the big surprise, as my editor felt that it complicated the storyline later. “Well how d’you expect me to sound?” he asks, confused. “I–I don’t know. I guess the Irish is fine.” Actually, it makes my stomach flutter, is what I really want to say to him, but maybe it’s just the aftermath of that surprise kiss. “But I’m–” I break off as the rest of the memories filter through. In three weeks, I’ll be running away with Finn. He pulled into port four months ago, and told me I was a Traveler. We’d become romantically involved shortly after. And soon we are leaving town, sailing away together. Suddenly, entirely too many memories are filling my head, and I step back, putting a little room between us. My hand goes instinctively to my belly. His eyes show his concern, and he steps forward, placing his hand over mine across my lower stomach. I look up at him, trying not to panic. This Jessa’s memories tell me he is happy about this. I–she was terrified to tell him I was pregnant, but he took it amazingly well. After the initial shock, he swung me around, pronounced me “good and caught” and then proceeded to plan our escape. He was already buying toys for our baby, and talking about where we might settle down eventually. It will be a few years before we can come back due to the scandal, but once I’m a married woman with a family, it should clear up. I’ll still be an heiress in my own right, receiving half of my mother’s fortune someday. But that’s not me. I need to get home. And I need to let him know I’m not who he thinks I am pronto. “Jessamyn!” A voice is calling loudly from the dock. My father! WHOA! This makes me want to do THIRTEEN cartwheels! To read more about TRAVELER or for more information, check out L.E. DELANO‘s website and her BUY THE BOOKS link. To enter the awesome contest, you need to know that my favorite number is hidden somewhere in this post (hint: scroll up two lines – it’s in blue and it starts with THIR and ends with TEEN). Add up all the favorite numbers of the authors on the blue team and you’ll have all the secret code to enter for the grand prize! While you’re here with me, be sure to enter the personal contest I’m hosting below for a chance to win signed books (including both books in the award-winning INDIE NEXT ALPHA GODDESS series). Contest is international! SIGNED PRIZE PACK INCLUDING HARDCOVERS OF ALPHA GODDESS and DARK GODDESS WITH LOTUS FLOWER CHARM, HENNA TATTOO, AND BOOKMARKS. ***Please note, if your comment doesn’t post in the comments section or you’re getting a certificate/authentication error, please feel free to leave your comment on my Amalie Howard Facebook page! If you’re ready to move on to the next author in the hunt, click here: SL BEAUMONT! Peter from Peter Pan, it’s my all time favorite and I’d like to be in his mindset to understadnd him differently. I would be Luna from Harry Potter because she sees the magical world in a different way. I would like to be Alice from the Alice in Wonderland. I want to explore that unique world. “If you could spend one day as a character in a book, who would you choose and why?” I would like to be the boy in the C.S. Lewis books who gets to be a king in Narnia–because Narnia is cool and it’s good to be the king! When I read your question the first person who popped into my head was Luna Lovegood. She’s quirky, intelligent and brave. One of my absolute favorite characters and I think spending a day as her would be really fun. I would pick Scarlett from Caraval by Stephanie Garber! I love the world that was created and absolutely love her character! Layla from dark elements because of ROTH!!! I would definitely spend it as Lizzie Bennet in Pride and Prejudice because Pride and Prejudice is one of my favorite books. I would be Helen from Starcrossed because I am in love with the world Josephine Angelini created! I would love to be Meggie from the Inkheart series–it would be so much fun to read characters out of my favorite books! Hermione Granger from the Harry Potter series! She ROCKS, sassy know-it-all, she’s become the kind of woman every girl dreams of being one day. I would spend a day as Audrey Rose Wadsworth from the Stalking Jack the Ripper series. I admire Audrey’s drive and determination to pursue her dream. Mine is from manga. Sailor Saturn! I would spend the day with Jen and Will from TID because they have such a great friendship (and I’m counting them as one because they’re always together). I would love to be Aelin from the Throne of Glass series for a day. She is strong and has a great sense of humor. Harry Potter verse is probably a pretty generic answer, but it would be my choice! I would want to spend a day as Inej from Six of Crows just to be part of Brekker’s crew. I would pick a strong sassy character in a magical world for sure. Someone like Kate Daniels from the Ilona Andrews series. Thanks for being part of the hunt! Being Kate for a day would be awesome. I would be Myranda because the characters she interacts with are great! Alice from Alice’s Adventures in Wonderland, because she has such a huge imagination, which is inspiring. 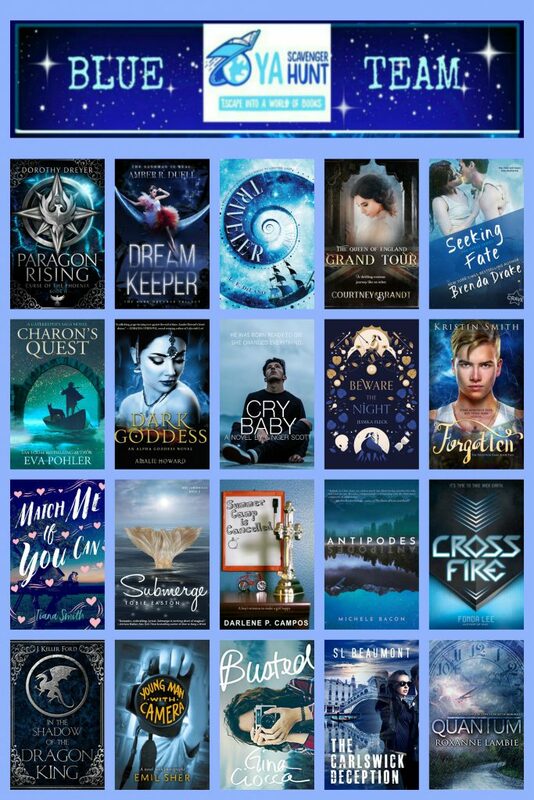 So many beautiful blue covers up there! If I could be a character, it would be fun to be one of the girls in Kiera Cass’s The Selection. So much glamor! I would be Hermione Granger from HP, because who wouldn’t want to hang out at Hogwarts for a day! I would be Penryn from Angelfall, she is confident, strong and she hangs out with a serious/funny in ways angel. Hermione Granger when she still has the time turner. Relive my favorite days over and over! I would spend it as Feyra, I’ll be rich, be able to fly and have a seriously hot mate! What a neat synopsis! That’s definitely intriguing me. And if I could spend a day as a fictional character, I think I might chose Peter Pan – to get to fly. I would spend it as Ryiah from the black mage series. She gets to do magic and compete.